The political process plays a huge role in education - not the least of which being funding at the federal, state and local levels. RIASP's , along with partner organizations NAESP and NASSP, representing principals nationwide, have lobbied continuously to impact the role government plays in public education. 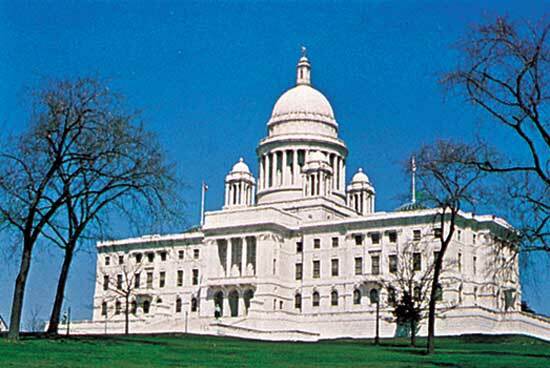 In Rhode Island, funding is one of the biggest issues the legislature tackles - particularly the creation of and appropriations to the public education funding formula. There are myriad other issues impacting schools (school construction and repair, safety issues, and others) that arise during each session of the legislature. RIDE, through its legislative liaison, provides RIASP with lists of all bills introduced and the actions taken on each throughout the legislative session. This provides RIASP members an opportunity to provide input with their representatives in an attempt to influence the legislation. Principals, by virtue of their positions, are generally far more informed on education issues that any other constituent group. It is vitally important that your knowledge of education play a part in the development of and action on legislation. At the local level, maintaining a good relationship with local school committees, city and town councils, and other elected officials is of vital importance. You have the ability to create positive perceptions about your school, your staff, and your students. You also have the opportunity to respond to any negative perceptions. Being politically effective relies, to a large part, on personal connections. Your email, letter, or phone call to a local official or state legislator has a greater chance of having an impact if you are known to that official or legislator. If you have guest readers in your classrooms, invite elected officials. The same goes for science fairs. The more contact people have with you and your school, the greater their awareness will be of the positive impact schools can have. Principals are encouraged to give feedback to RIASP about the issues that are important to them. You may contact the Executive Director at RIASP.